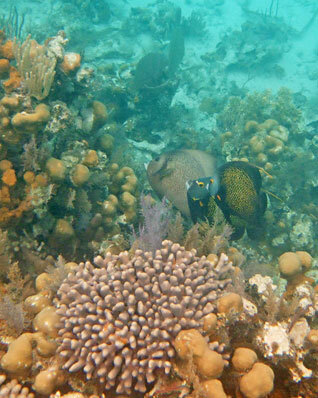 Snorkeling Little Water Caye was a pretty nice experience. 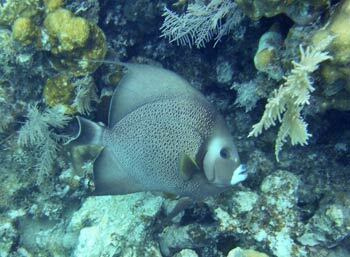 This was the last spot that we hit on our week long catamaran sailing trip snorkeling the Belize barrier reef. 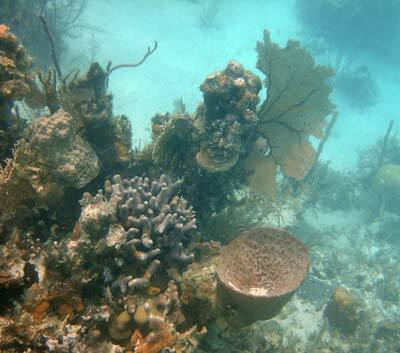 Snorkeling Little Water Caye was good because of a healthy patch reef system that had lots of nice corals, sponges and alga. 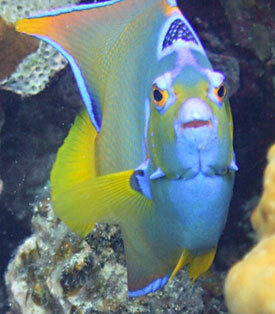 And it also offered more fish than some of the other locations we had visited in Belize. 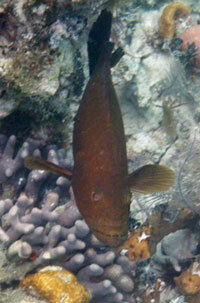 The depths were a nice range, from only six feet down to about twenty on the sides of the patch. 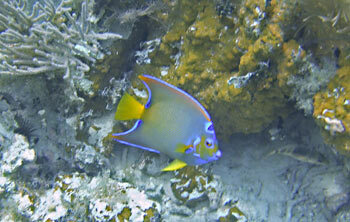 The main drawback of Little Water Caye was that the visibility was fairly poor. It was kind of cloudy. This was due in part to some windy and wavy conditions that day. 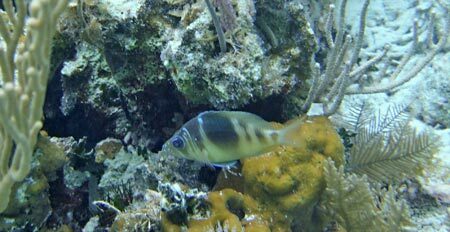 But it is also because Little Water Caye is a little bit further inside the barrier reef and starts to suffer from the fresh water mix coming in from the rainy mainland mountains in southern Belize. 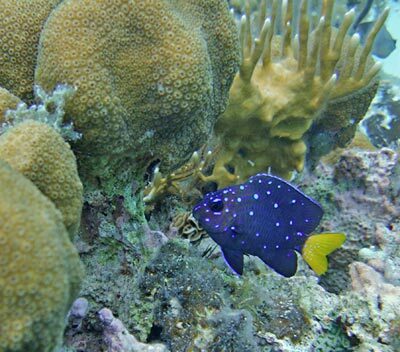 In the picture below you can see a nice variety of hard corals and some soft, and you can also see two French Angelfish and a Gray Angelfish together. 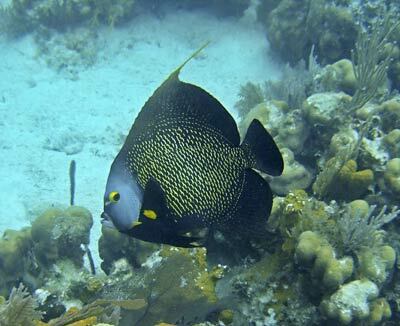 And pictured below, this is one of the few locations in Belize that we saw the beautiful Queen Angelfish. 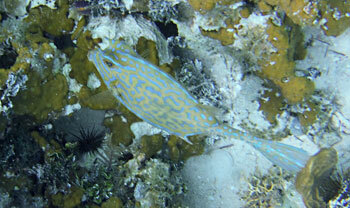 And there are a few more fish below that we found snorkeling Little Water Caye.